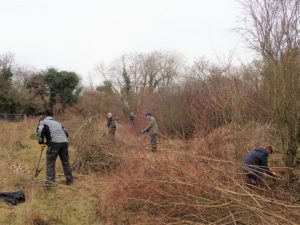 In winter 2017-18 some young Ash trees were felled at Holtspur Bottom Butterfly Conservation reserve, to open up and restore an area to chalk grassland. Logs from this felling were stacked. Last weekend we returned to clear another area, and had to move some of the logs from the previous winter. 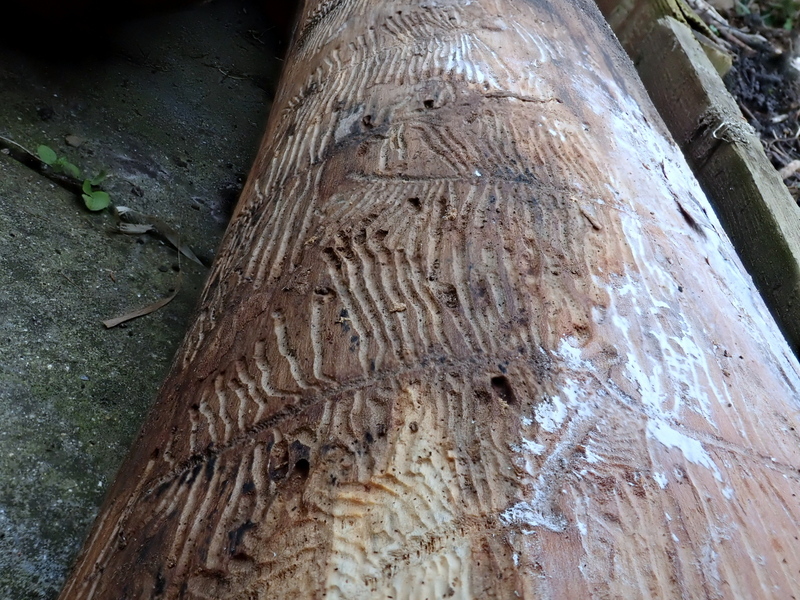 In the intervening year rather a lot of beautiful patterns had been sculpted onto the logs, the handiwork of the Ash Bark Beetle Hylesinus varius. 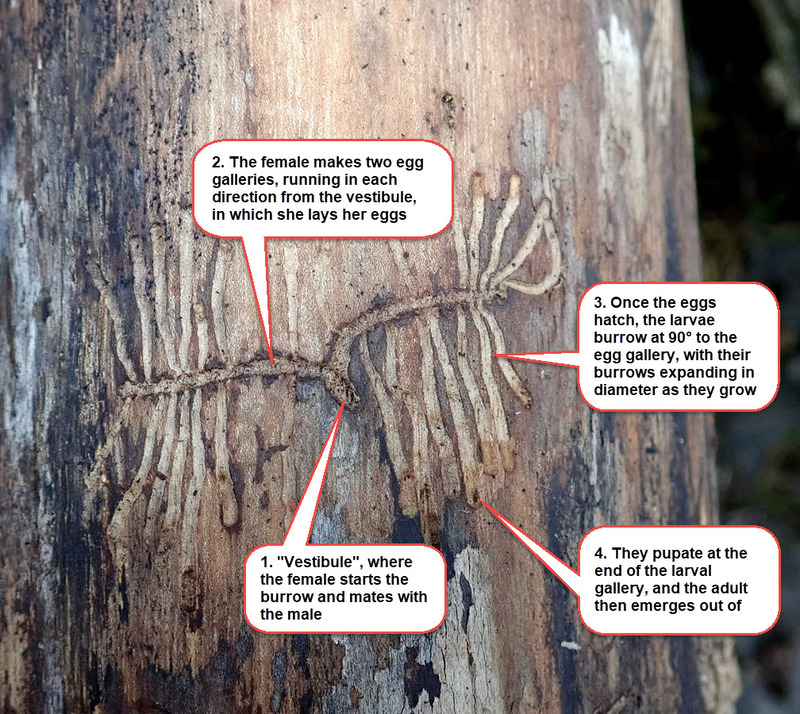 The females excavate an initial ‘vestibule’ in the bark, in which they mate with the males, and then bore two long egg galleries in opposite directions from the vestibule, under the bark, laying eggs at intervals along them. On hatching, the larvae start to bore another set of galleries at 90° to the egg gallery, gradually expanding the gallery width as the larvae grow. 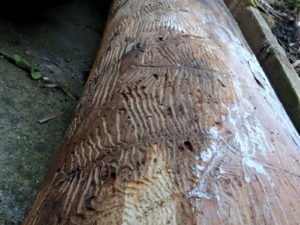 They pupate in a cell at the end of the larval gallery, from which the next generation of adult beetles emerges and bores an exit hole through the bark to fly off and find a suitable Ash log for the next generation. 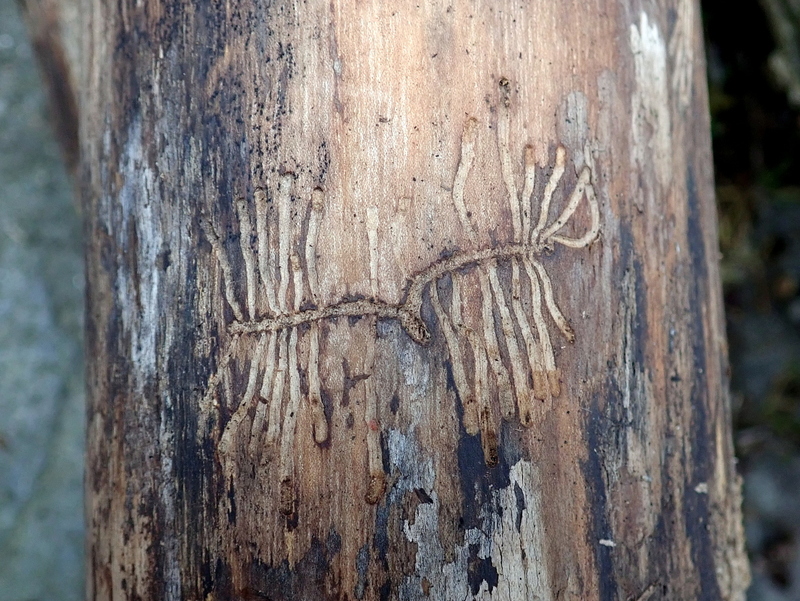 The Ash Bark Beetle only enters the bark once the tree is already dead or dying, and is not believed to spread fungal diseases, so to me this is a harmless and fascinating aspect of biodiversity. 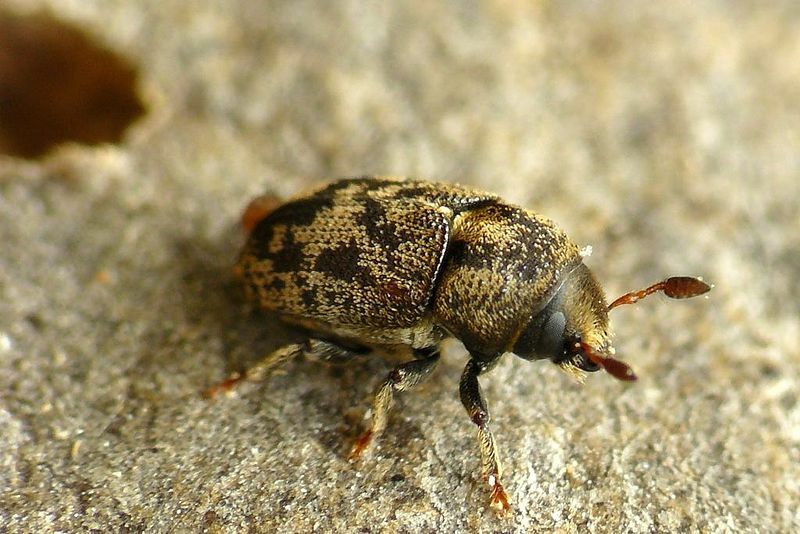 As with many insects, the beetles are quickly followed by a range of parasitic wasps, and a study in the Czech Republic found that over half of the Ash Bark Beetle population in their study area succumbed to the parasitoids (Nakládal and Turčáni 2007). 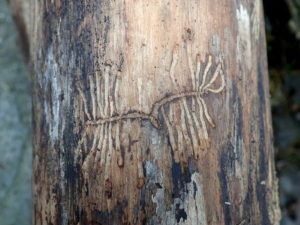 So there is a whole chain of life going on under the bark of the dead wood! 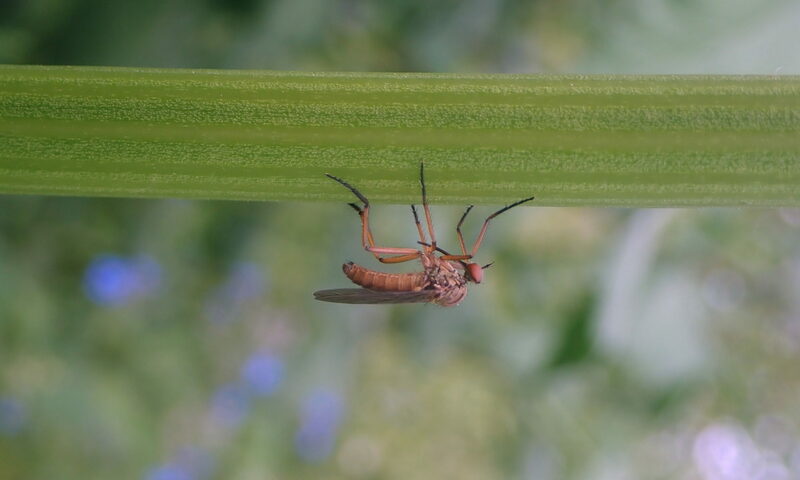 It’s good to know that a by-product of the conservation work we carry out to benefit the grassland plants and butterflies provides habitat for these tiny but fascinating creatures. Faccoli, M. 2015. 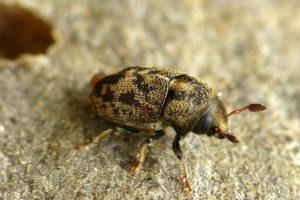 European bark and ambrosia beetles: types, characteristics and identification of mating systems. WBA Handbooks, 5, Verona: 1–160.